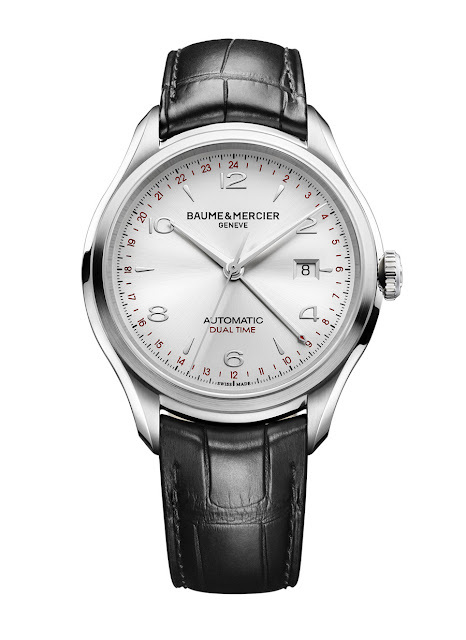 Completing the recently introduced Clifton men's collection, Baume & Mercier presented the new Clifton GMT. 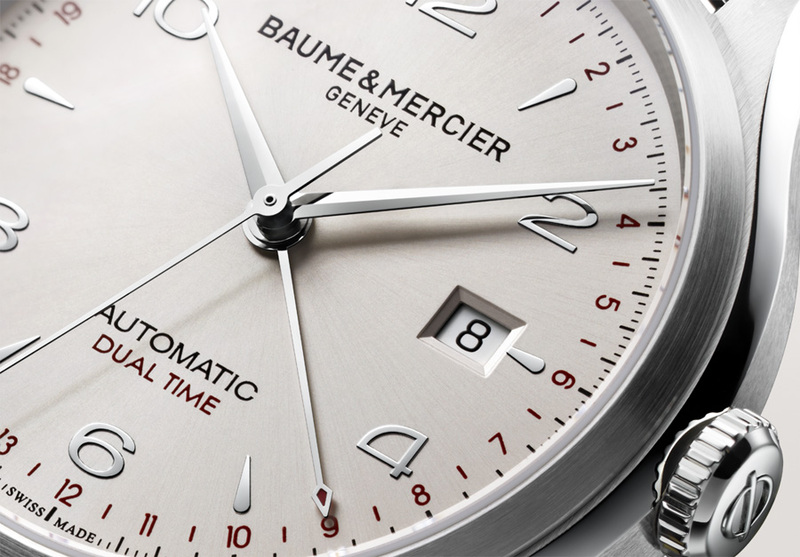 The 43 mm diameter case, in brushed satin-finish steel, will be available with a silvery dial (ref. 10112) or anthracite dial with sun satin finish (ref. 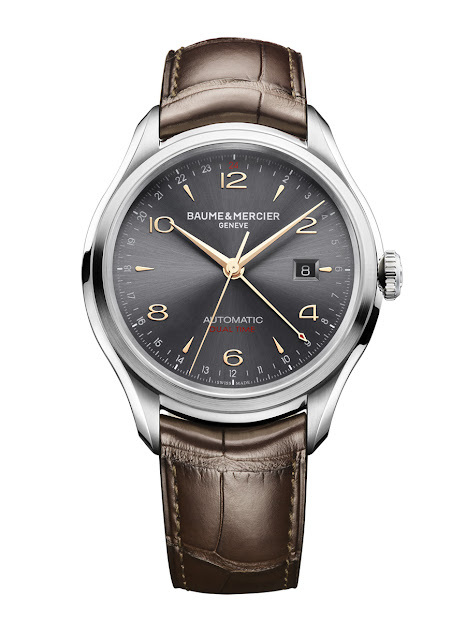 10111). The movement, visible through the sapphire crystal case back, is the automatic ETA 2893-2. The Dual Time function enables the watch to simultaneously display a second time zone, indicated by the red dot at the end of a fine hand. At 3 o'clock the date display. 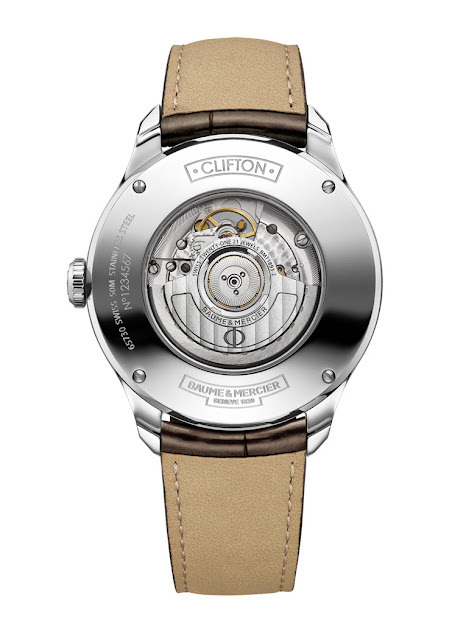 The Clifton GMT comes with a black or maroon alligator strap fastened by an adjustable triple folding buckle. 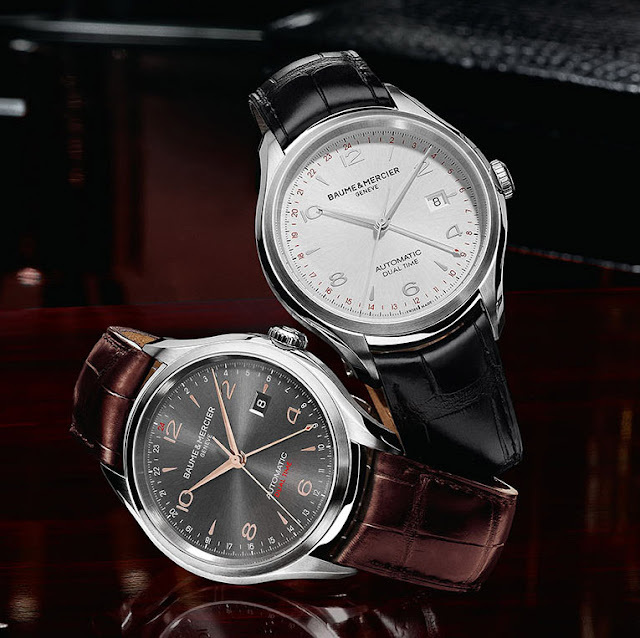 Completing the recently introduced Clifton men's collection, Baume & Mercier prrsented the new Clifton GMT .